At the core, Budo is all about positioning, battle positioning, (sentoujinchi), indeed. 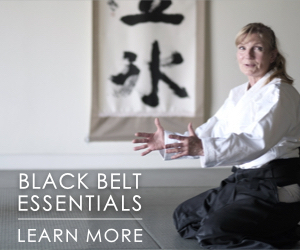 But more, Aikido is about alignment, alignment with oneself, with the Universe, with others and with everything. A dynamic, moment-to-moment life navigation, that in juxtaposing with all Creation, enables harmony to propagate! I was still practicing Judo in the 60s when I first heard something that resonated. I was not interested, as insecure fools do, to prove anything about my ego. My search for skill, from a very early age onwards, arose from the need to assert in order to protect those who could not. 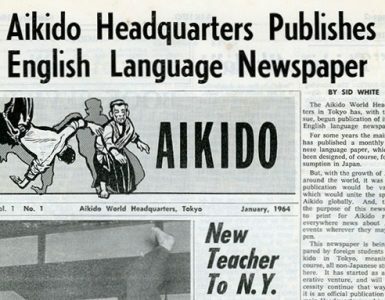 It was then I read an article about Aikido. An interview. I forget who it was who was being interviewed. 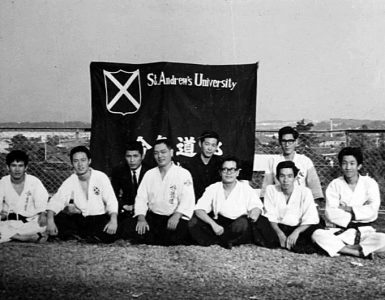 It could have been O’Sensei or Koichi Tohei sensei, or someone of that caliber. But the gist never left me. This implied much more than it stated. SKILL! A very high level of it. A realization of essential unity and that we are what we protect, what we stand up for. Anyone participating in a battle who is not protecting something, is a mercenary who is participating in crime. How do we go beyond falling into the trap of being either a bully or a victim? By placing and re-placing yourself, just like riding a horse. Watching a rider, the appearance is of someone merely sitting. Those who’ve ridden know this is not so, rather, a continuous re-placing into balance and integrity, Breath, balance and hara (“seat” in equestrian lingo) harmonizing as one with the horse. When firing arrows from horseback, more so. On the ground, with or without sword, or any hand held weapons, this is the same. “Horse stance” has a very valid basis. It is not static. A slight shift becomes Hanmi Gamae and turns the horse. It also enables the sword, the firing of arrows and may other skills. Positioning, as with battle positioning is the single-most crucial attribute of life, survival and thriving. Whether a battle, a tsunami, a war, a building or forest fire, an earthquake or volcano, tornado or cyclone or whatever the imminent extreme. Conversely, a job interview that will change the course of your life, marriage, or any other life-path decisions. Your position and your decision will determine whether you live or die in an instant of sudden change. Or the shape that the long road ahead will take, in lesser but no less crucial matters. Favorable positioning is ultimately economical and most productive. Unfavorable positions are expensive and wasteful, if not deadly. When conflict hits the ground to become violence, it usually does so hard and fast and without much mercy, if any at all. Predictability is 99% of the game, especially when it comes to managing a conflict, or any other high speed emergency. The ability to identify and predict the shape of an incident comes from practice. Lots of it. Drill. Clarity and understanding gives rise to best response capabilities. The complacent, the lazy, like to waffle incoherently, and the dull like to imagine that either it will never happen to them–famous last words–or that a few techniques, an idea of ki, or a call to a deity will do it all for them. That’s why the world needs warriors of caliber, to protect people like that. Not half the time from themselves! The warrior, necessarily understands positioning and how to recapture best position as a result of regular training. This is the essence of practical Aikido. Strategic thinking. Impractical aikido I don’t know anything about, nor do I want to participate in something fake with a noble label attached. 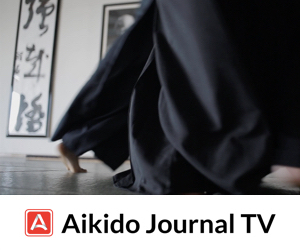 The whole of refined combat or situational management, or Aikido, is about predictability and identification, best positioning and synchronized flow of action, or aiki. How many “fighters” know and thoroughly understand the position of safety in combat and in life itself? In all kinds of combat there is a position where you are less compromised and less at risk than any other. The identification of this position is worth more than gold. Indeed: Life! But it is not a static position. Rather a dynamic and shifting one that adheres to a universal principle. 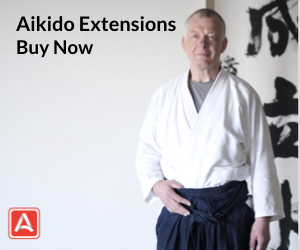 Aikido specializes in accessing position of optimal safety immediately. To achieve the kime-instant decisive potential of quick conclusion, you must understand strategic position of safety thoroughly and access it immediately you are attacked, without the opponent(s) realizing it. Every circumstance has a position of safety. Possibly no-one has studied this more, in terms of human relations and nuances of social hierarchy, than the Japanese. Where does the chief executive sit and why? Note it. Where are the junior ranked placed, in a car, a room, outdoors? Why? How do you speak and to whom? Who do you defer to and who not? If not why not? All that arose from military procedure for optimizing survival function and efficiency. The many of the body language predispositions that in times of feudal necessity communicate deference, status, rank etc., all serve to establish position of safety. If you have no comprehension of such security measures, you would be well advised to review your opinion about being a fighter. Great ring fighters are repeatedly and frequently demolished in street and other unprotected situations because they fail to understand position of safety and optional variables. In proper Aikido practice we practice to fine tune this attribute of correct and best placement. This fine tunes the decision making processes for survival and for thriving. Positioning is the skill of relationship with other energies, without which there is a lot of clashing. As it improves in us because of practice, we can apply it into all of life and purposefully place ourselves, instead of being buffeted unconsciously by the winds and currents of what would otherwise appear as whimsical existence, instead of a great harmony that can be aligned with, navigated successfully and tapped to the all-gain thriving of life, and the human family. 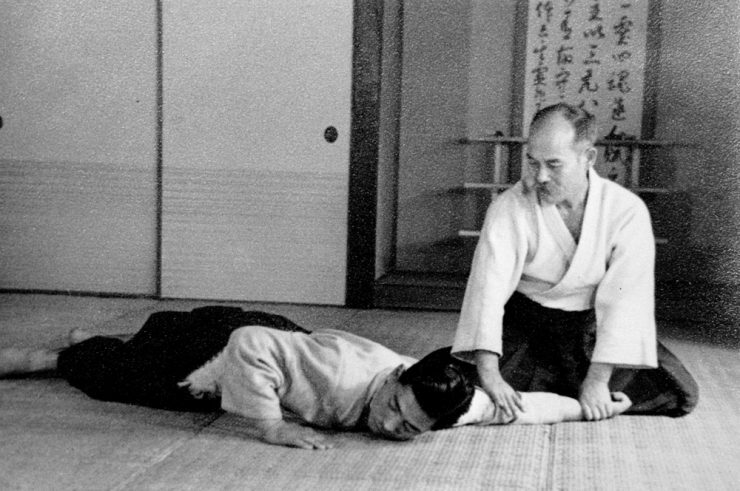 Aikido practiced with diligence to its true purpose is the preeminent Budo, because, whilst it enables moving into best battle position, it then chooses to reconcile from that place instead of doing battle. Love instead of war; and to win nonetheless whilst offering the opponent life instead of death. A form of ruthless forgiveness and dynamic compassion, hence dispelling setsuninto (the sword that takes life) from the very position of setsuninto. Already placing him in checkmate, then offering the attacker an instant choice to turn on a dime, for an alternate and different outcome. The attacker has a split second, last-call-opportunity to re-evaluate. At this point, the attacker will reveal his truest intention by his action. If the attacker makes the right choice, then everyone wins and life wins thereby, becoming katsujinken (the sword that gives life). If not, he bears the consequences of his own attacking without our input to his defeat. Our refusal to then accept the destructively intended energy, allows it to recoil on its propagator. 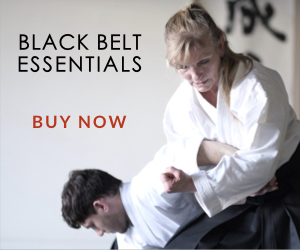 This is the ultimate position for navigating the universe, life and conflict and the practical application of the Aikido principle. Whilst being true to yourself, all life and those you are protecting; you thus protect life in accordance with the requirements of nature and the universe. With this earned gift comes immense responsibility to continuously de-escalate all violent intent, yet meet it without hesitation and lead it to a benevolent conclusion. Beginning within oneself, we find and reconnect with our innermost centre that is already aligned with the centre of the Universe, through the daily shugyo and misogi of meeting challenge and harmonizing it in daily training. We do this by applying ki from a position of Ai. I agree with you on most points, except one. About deity. If you describe God in such manner, it is offensive and Aikido is not about that. Aikido practitioners are much more respectful towards other people’s beliefs than you imply, I know it first hand. To perceive the positions of oneself in relation to the positions of others and the elements that surround you is to be mindful of all the interacting elements around you, but to ignore those elements, those interacting forces causing change, is to surely be in harms way. Look around, and see what is happening around you in all things, and you will find new awareness of nature’s interactions in for both things you can control … and things you cannot. I guess what I am saying, is that with awareness you will find ways to increase your ability to interact and to change the direction of events because you will improve your skill level which in turn will give you the ability to change events you previously couldn’t change before either because you were unaware or did not possess the skills to change the situations that come before you. Frank Doran and Bob Nadeau developed a drill for multiple person attack known as “Frankenstein Walk”. The several participants all move very slowly. I like to count time with one count being one step. The objective is for nage to maneuver around and between the several ukes without getting into any position where more than one come to bear at any one time. No techniques are applied, just irimi or tenkan, most usually irimi. The idea is to develop the assessment of timing and distance. Works pretty well. @anna – I suspect the author was not expressing any disrespect to any specific “God” per se – but rather, I feel the point of the sentence was say there are some that will blindly assume that some higher power will protect them in a time of conflict. He seemed to be pointing to lazy people who want to have something without working hard for it. I feel that if someone were adequately trained in any martial art AND had a strong connection to a ‘God’ or the universe or which ever label we want to attribute to it – and they invoked that connection in the time of need (say during a potential conflict) – the Universe would assist in some manner. O’Sensei would be an excellent example of this. I agree with your response. However, intentionally or not, I choose to be respectful of other people’s beliefs, opinions and so on. Coming from a long time practice within martial arts field I have come across many people and schools of all sorts and kinds. I have also come across various beliefs and although I may not follow what other people believe, I am tolerant towards them. At times in my training I’m able to reconstruct something that happened spontaneously. The objective is to see whether it can be turned into a form for training purposes. Sometimes it can. Often it can’t. Might as well say that path and outcome were ordained by God. Yes, I brought the tools and training to the situation. If I hadn’t God couldn’t have used them. A terrible flood hit a small town, sending the rescue units out. It just so happened that a devoutly religious woman lived in this town when the flood hit, and she sat down to wait for God to save her. When the first rescue boat came in the worker called for her to come out but she just shook her head and said “Thank you, but my God will save me.” Shaking his head the rescue worker moved on. The waters rose and she climbed to the second story of her home to wait for God. The waters rose a third time forcing her to her roof. The water was just closing around her ankles when a third boat came by. “Lady, I’m the last boat out if you don’t come now you’re going to die.” She just smiled “My God will save me” she said quietly. Frustrated the worker moved on. The waters rose once again leaving her standing on her chimney. She heard a huge ruckus above her head and when she looked up she saw an emergency helicopter. “This is it lady, you have to come now or we won’t be able to save you.” Still she refused to go. The waters rose a final time dragging her under and she was drowned. When she got to heaven, the Lord asked her if she had any questions, and in a timid voice she replied. God did His part. The lady’s role was to contribute in the small measure within her ability and place herself into one of the boats or the helicopter that God sent for her. Old story about man/woman, etc. waiting for God to save her- come on, this is an easy way to portray in negative light someone who believes in God and criticize religion in overall. And anyone can quote the Bible, just by opening it and be without understanding of it. This was not the question here. The question(a reminder) was that aikidoka I know are respectful of other people’s beliefs. There are ways of connecting both, and it is sad you don’t see it. There is a small part of the sentence from 22nd Psalm about still waters and calm they bring. I see it as the way of expression in flow between uke and nage when they work together. But this is just a start. And here I am, instead of bringing anecdotal evidence, quote the same sources you have. Thanks Anna,…for putting things into perspective. In here lies the problem with “religion”.